Most everyone agrees that the bees are in trouble. The U.S. and Canada have lost one-third of their managed honeybee colonies for seven consecutive years now, and their wild bee counterparts are also suffering significant declines. The loss of bees matters because one out of every three bites we eat exists thanks to a pollinator. They’re also mighty engines of GDP, responsible for up to $577 billion in global crops per year. Reduction in their ranks threatens our ability to feed the earth’s growing population, and our already teetering ecosystems. Fighting on the front lines against this pollinator loss is a dedicated band of bee researchers, many of whom share a deep, abiding passion for bees. Here, we take a look at a few of those researchers who are racing against time to figure out the puzzle of bee loss, and how to turn it around. As a high school student in Oaxaca, Ernesto Guzman heard a lecture on honey bees and fell in love with the insects—their social life, and how, “as a society,” he says, “they work for their community in a very organized and efficient way.” Now Guzman serves as the director of the Honey Bee Research Centre at the University of Guelph in Ontario, Canada. 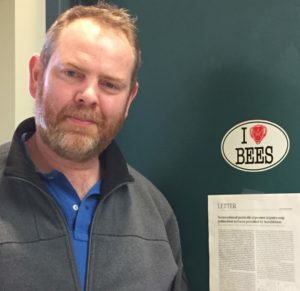 He leads a team that’s looking closely at the effects of multiple stressors on bee health and mortality, including varroa mites and Nosema fungus—both of which transmit disease to colonies—and the pesticide class known as neoniconitoids. 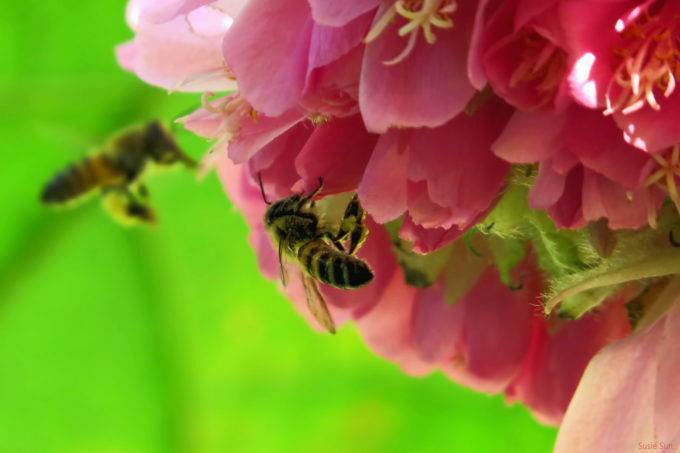 “How do these stressors affect bees’ immune response and their lifespan? We have parts of the puzzle solved, but not all of it,” says Dr. Guzman. Much of the blame for the alarming thinning of bee ranks has been directed at neoniconitoids, the newest and most widely used class of pesticides in an agrochemical market valued at $207.5 billion in 2014. But the problem of bee declines, like bee life and bee society itself, is complex. Scientists know now that there’s a synergistic effect going on: pesticides can make bees more vulnerable to parasites and poor nutrition (from lack of forage or monocropping) can weaken their immunity. So charged is the debate over bee loss, says Dr. Guzman, that those in favor of the use of insecticides—mainly agrochemical companies and conventional farmers—often place the blame for colony loss solely on varroa mites. This, he notes, is true in the winter but irrelevant at other times of the year. “Springtime deaths seem more related to pesticide poisoning,” he says. In 2010, Guzman published a study that found that 85 percent of the wintertime die-offs of honey bees in Ontario were associated with infestations of varroa mites. This increase was largely due to resistance the parasites had developed to miticides that beekeepers had been using to keep them in check. Nigel Raine grew up in Britain, attended the University of Oxford, and responded to a chance request by a professor to collect some pollen during a summer research project in Tanzania. The experience eventually steered him to study the pollination of Acacia trees in Western Mexico. “Bees and their interactions with flowers have been critical to my research ever since,” he says. Raine is one of many researchers amassing growing evidence that the level of neonic exposure bees are now subjected to can in fact negatively affect their health and their ability to to pollinate crops. In 2014, Raine and Richard Gill of Imperial College London equipped bees with tiny radio frequency tags in order to monitor their pollen foraging ability. They found long-term exposure to two neonicotinoids, imidacloprid, and pyrethroid, prevented bees from learning essential pollen collecting skills. Then, in 2015, Raine and several colleagues published an article in Nature, which found that exposure to “field-realistic” levels of neonicotinoids can harmfully affect bees’ foraging behavior, homing ability, and reproductive success. The term “field-realistic” is key, since agrochemical companies say that field studies don’t mimic actual crop field conditions. After exposing bumble bee colonies to the neonicotinoid thiamethoxam, Raine and his colleagues allowed them access to virgin apple trees. Compared to the control group, pesticide-exposed bees visited the apple trees and collected pollen less often, and the apples produced by these colonies contained 36 percent fewer seeds, a marker of poor pollination services as well as fruit quality. It was the first paper to show the harmful effects of neonicotinoids on bees’ ability to pollinate, not just on the bees themselves. When asked for a response to the study, the agrochemical company Bayer AG issued a statement noting that “when viewed in the proper context” the Nature study is “quite in line with most science on neonics—that at realistic levels of exposure, they do not pose adverse risk to pollinators.” Bayer also called the neonic exposure level of bees in the study “highly unrealistic,” the equivalent of calling black what the researchers called white. Bayer and other agrochemical companies that manufacture neonics tout them as the safest pesticides manufactured so far. The companies also insists that neonics are necessary because they can control crop pests that have become resistant to older insecticides. Raine’s concern, however, is that neonicotinoid use has moved from low levels since their introduction in the early 1990s “to almost prophylactic levels” today. Applied on roots, as seed-coatings, on soil or sprayed on crops, they function systemically, taken in by the plant and circulated throughout its tissue, pollen, and nectar. Pests that eat the plants receive a large enough dose to kill them; pollinators that collect their pollen and imbibe their nectar receive sub-lethal doses. “I had read a book about bees while in college in Prescott, Arizona, and was fascinated,” says Marla Spivak, a professor of apiculture at the University of Minnesota and 2010 recipient of a MacArthur Fellowship. She stayed up all night reading Bees’ Ways, and by morning she had decided on her career. “I was fascinated by the bees’ social structure—that they function without central authority,” she says. 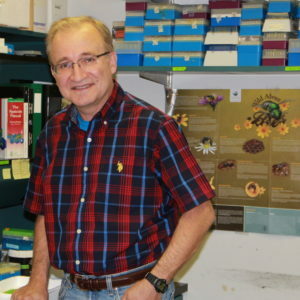 Spivak’s research focuses on the interplay between bee nutrition, pesticides, and disease. One of the most interesting areas of Spivak’s research is on the benefits of propolis (tree resins) to the health and immune systems of honey bees. The bees collect resins on their hind legs, then deposit them in their nests to seal unwanted gaps. It can also act as an antimicrobial layer and immune defense against disease. “Rather than studying maladies, my preference is to study how bees keep themselves healthy, their natural defenses and natural ‘medicines,’ if you will,” explains Spivak. Spivak is also interested in the development of “bee-lawns,” or pollinator habitats in urban landscapes and engaging the community in the fight to save the bees. Her Bee Lab at the University of Minnesota, has formed a group called The Bee Squad to help area beekeepers raise healthy colonies and wild pollinator landscapes. Its successful Hive to Bottle program, which encourages businesses to keep a bee hive on their property, has, says Spivak, encouraged many businesses to “change their landscaping practices and pay attention to pesticides.” Two other programs are the Bee Veterans program and Bee Arts, which support artists working with the themes of pollinators and the environment. As an undergraduate at the University of Guelph, Dennis vanEngelsdorp took a beekeeping course as an elective. He’d already opened a gardening store and thought his path was set. But he bought some bees, and was stung by one of his charges. “There’s a saying, you get stung and it’s in your blood. You know you’re a beekeeper,” says vanEngelsdorp. Explaining the allure of the beehive, he says, “You have 40,000 sisters working in harmony, and you’re on the outside, but really connected to the environment because the bees are.”As head of the Honey Bee Lab at the University of Maryland, vanEngelsdorp specializes in an epidemiological approach to understanding and improving bee health, which means collecting and analyzing large-scale data on bee colonies. With the help of the Bee Informed Partnership, a large-scale collaboration between leading research institutions and beekepers, vanEngelsdorp has spent the last five years conducting a national bee management survey, examining various colony management practices and how they affect colony health. Starting with “large data sets that are very dirty”—or with a lot of variation—and refining them, he says his lab is now close to being able “to make statements about trends” and integrate its findings into a “best management practices” approach for both large-scale apiaries and backyard beekeepers. 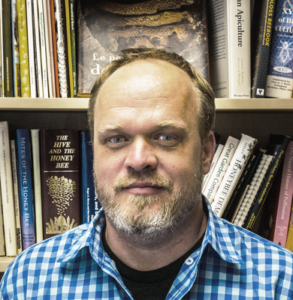 This data set, the largest of its type in the country, is also at the stage where “people can interact with the data and ask their own questions of it,” vanEngelsdorp explains. As with the data on the health effects of smoking, vanEngelsdorp says this data does not directly link practices to outcome, but offers only correlative data. Photo of bees in action by Susie Sun.